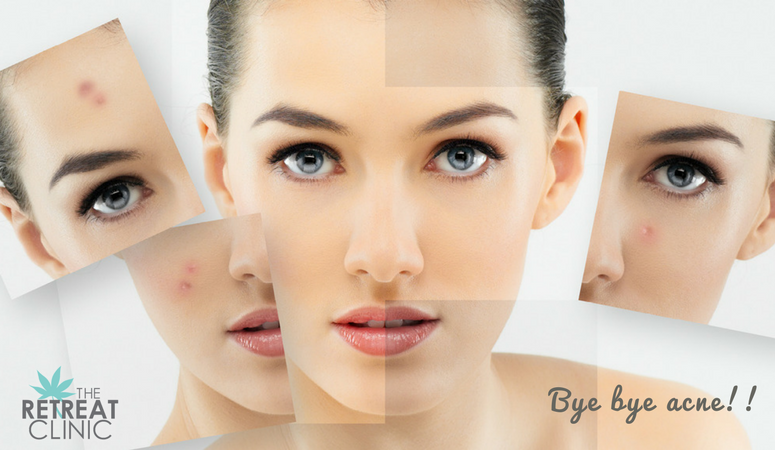 Acne occurs when sebum is unable to leave the skin because a hair follicle is blocked. This may result in growth of bacteria below the surface of the skin. Inflammation can occur, and rupture of an inflamed area can lead to scarring. 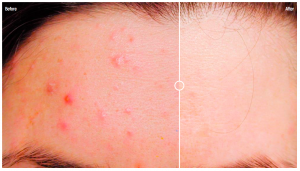 Ellipse treatment has been clinically proven to accelerate the healing process for acne. By reducing the blood supply to the sebaceous gland, the production of sebum slows down, and the healing process for acne accelerates. Ellipse treatment works by directing pulses of light into the epidermis. The light is absorbed by the haemoglobin in the blood vessels that feed the sebaceous glands. Haemoglobin converts the light energy into heat, which damages the walls of the vessels supplying blood to the glands. This technique is called “Selective Photothermolysis”. The visible light produced by the Ellipse Selective Waveband Technology systems is carefully controlled to produce the correct pulse length and wavelengths to reduce the acne without damaging the surrounding tissue. A normal hair and sebaceous gland (1) can become partially blocked (2). Acnes bacteria live on the sebum and produce fatty acids. The body responds by blocking the gland’s exit to the skin (3). Sometimes the mixture of hair protein, oil and fatty acids damages the walls of the follicle and causes inflammation (4). The Ellipse treatment works by reducing the blood supply to the sebaceous gland, which slows down production of sebum. The combination of the Ellipse Square Pulse Technology which minimises the risk of side effects by ensuring consistent intensity of energy throughout the pulse and the Dual Mode Filtering that eliminates unnecessary and potential harmful wavelengths, allowing only those that are beneficial to the treatment. This ensures that the treatment is done without damaging the surrounding tissue, without the need for active skin cooling. The results are further enhanced by the short pulse available in the Nordlys system.